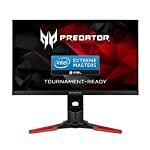 As readers of this site well know, gaming monitors are steadily moving away from their previous little niche in the corner of the monitor market and becoming more mainstream. Games have often been at the heart of driving PC technology forward and it seems monitors are enjoying a revolution right now. A number of manufacturers, such as Acer or Asus, have been targeting the gaming market for a couple of years, including technologies such as G-Sync and faster refresh rates but it’s not something that Dell has ever indulged in – until now! The Dell S2716DG is a monitor aimed right at the gamer market, and beyond. They’ve ensured that this latest effort does justice to the current must have features that we’re demanding from our game monitors. You’ll find G-Sync, a 144Hz refresh rate and a QHD display. It seems a sensible approach, the market is expanding beyond the enthusiasts and a company like Dell, who have a good reputation for making great screens, is in a great position to attract customers towards a well established support setup and supply chain. 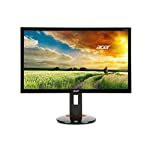 The first thing to highlight on the S2716DG is the zero frame design, this monitor has an ultra thin bezel and this is always an attractive feature. It looks great when you have one monitor, and even better if you are placing multiple screens next to each other – you really want the border to be as narrow as possible. The screen is thin and relatively light too. True to Dell form, the stand is good quality. It provides the usual tilt, swivel and height adjustment options and more importantly gives solid support to your screen, no wobbles here. The adjustments are a little stiff but move smoothly once you get going. You can also rotate it. If you want to mount it on a stand or hang it on the wall you’ll find the standard VESA attachments. The supplied stand clips out via a quick release mechanism. The monitor only has HDMI and DisplayPort options, the latter is required for G-Sync. Overall the build quality is impressive, this is a smart looking monitor and we particularly liked the thin bezels. The S2716DG has been built with gamers in mind, if you are looking for a modern screen with the latest game playing technology then the Dell is targeted right at you. But let’s start with the bad news. The S2716DG is a TN based monitor and as such the viewing angles aren’t quite what you would expect from an IPS panel. This is to be expected and as a result you will notice an obvious contrast and colour tone shift horizontally, and more so on the vertical plane. But don’t let this put you off, if you have no need for colour critical work and you’re just interested in general day to day use and gaming then you will get on fine. The up side is that TN panels are known for the fast response times and refresh rates. If colour accuracy is more important to you then there are IPS monitors targeted at gamers to consider. The TN panel also avoids “IPS glow” which can prevent you from seeing deep blacks on screen in certain scenarios. The 2560 x 1440 resolution is currently rare for a 27″ TN monitor, and at this size proves very effective for both the Windows desktop and games. In fact the QHD display provides you with a massive 77% more desktop space to spread your apps over. This actually might be daunting at first but like any change you get used to it – you’ll be wondering how you coped with a low res monitor. The Dell S2716DG is of course a gaming monitor, and with a 1ms response time, 144Hz refresh rate combined with G-Sync it is clearly geared up for fast moving images. The G-Sync module is welcome here because unless you have a beast of a GPU you’ll struggle to output 144 frames per second at 2560 x 1440. But with an appropriate graphics card you can take advantage of dynamic frame rates and still play with smooth graphics and no tearing. 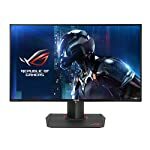 The monitor also feature UMLB blur reduction technology, this is very effective at cutting out blur but note that it cannot be used at the same time as G-Sync, not will it work at the full 144Hz refresh rate. Overall the performance does not disappoint, testers have shown the Dell easily keeps up with other that popular TN Film gaming screen manufactured by the likes of Asus, Acer and BenQ. The default setup is aimed at gamers so do watch out if that is not your priority. We give the Dell S2716DG a 4 out of 5 rating. Want to know what existing owners of the monitor think? You can read real user reviews here. Should I buy the Dell S2716DG?